The Pelicans could be without Anthony Davis for longer than they initially thought. New Orleans announced last weekend that its star sprained his index finger in a 128-112 loss to the Trail Blazers. However, Davis' agent told The Athletic the injury may be more serious and could cause him to miss two-to-four weeks. Davis is set to see a hand specialist this week. Davis has been one of the best players in the NBA this season as he's averaging career-highs in points (29.3), rebounds (13.3) and assists (4.4). But the Pelicans are 22-25 and outside of the playoff picture in the Western Conference. 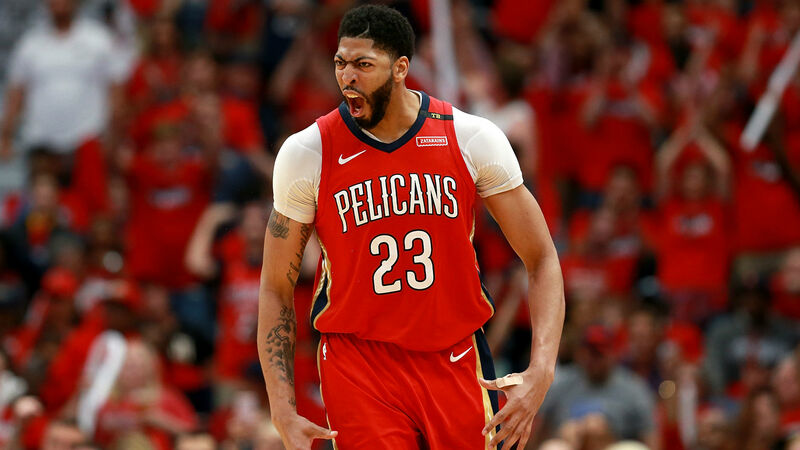 A lengthy absence for Davis could mean the end for New Orleans' postseason hopes. The Pelicans will face the Pistons on Wednesday at 8 p.m. ET.